Once again I was delighted to work with Chery Nash again for her Spring 2012 line. Her new spring line was full of color, bright patterns and lots of fun. Creating her spring catalog was a breath of fresh air. 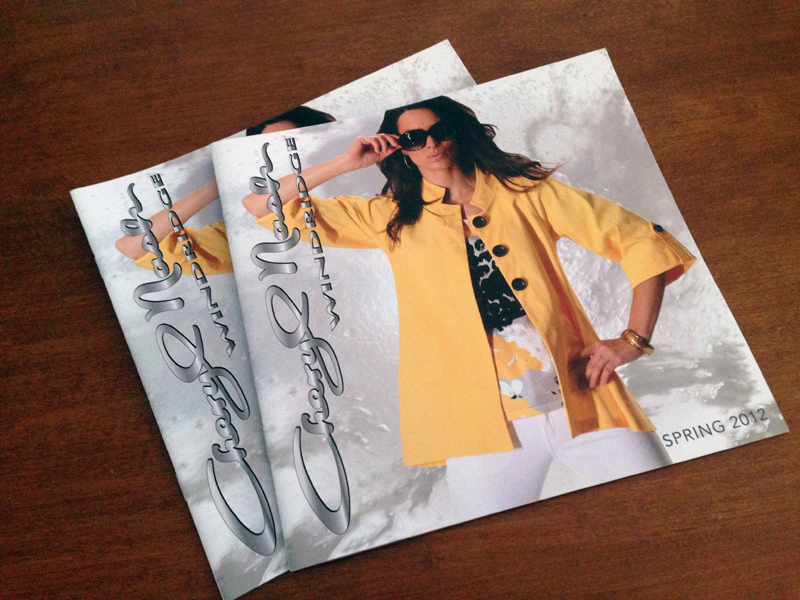 I created whimsical catalog spreads to compliment the breeziness of her spring clothing line. As a result the 64-page catalog reads more like a book of art than a plain line sheet.